I feel like I need to tell you my full story. I spent four years at business school at the prestigious Villanova University, and got out into the world with my degree in hand. Many of my friends who graduated with me found their way into various companies, affixed their ladders against the walls, and began climbing the corporate ladders. Many of them, here now 25 years later, and still pushing their way up reaching for the next rung. Others have slid down and carried that ladder over to a different building and began their climbs again. My career began as a real estate agent. Can you imagine trying to convince people to allow a 22 year old to represent them in buying or selling a home, the biggest transaction of their lives? I wouldn’t have used me. But fortunately I hustled hard enough and convinced some people to hire me. I found myself at 25 years of age hitting the $100,000 earning mark, and I thought I had made it. I was earning more than most friends I knew. But I was also working evenings and weekends, and they were not. I found that having money and no time, that’s no good. I also know that having time but no money, that also is no good. There had to be a better way. Here’s what I can tell you. You will win one day, as long as you stay in learning and activity mode. You also need to give yourself a break, and don’t compare yourself to others. You don’t know their back story and what learning they’ve already done before the results started to happen for them. I also learned that the people who do the best in this business model are the ones who attach themselves to their most successful upline leader. This is critical. “You will never soar with the eagles if you spend your time pecking around the ground with the chickens.” I decided early on to work my tail off, and be the most coachable person ever, to deserve and earn the direct time and help of the top earners in my upline. This is so key. Yes, make lots of friends at all levels in the business, but focus your sights on spending time learning from the top of the top. They are the ones with your answers, not the others who are all stuck where you don’t want to land. 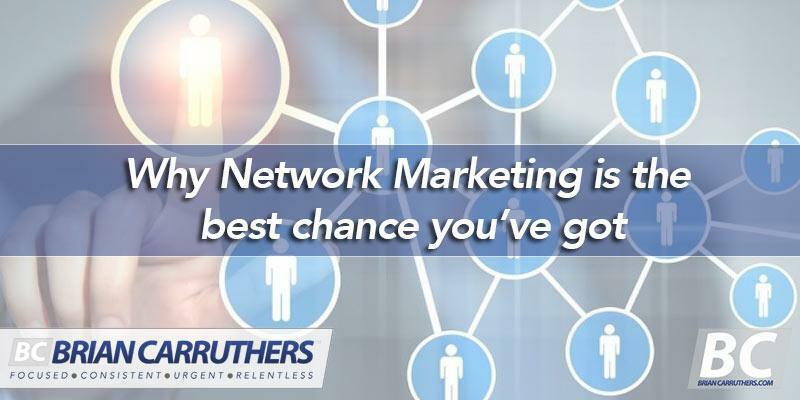 Network marketing, if taken seriously, will give you passive, residual cash-flow that gives you true time freedom. This is leveraged income at its finest, getting paid whether you are doing the work or not. Anyone who tells you this business is a waste of time is wasting their breath telling lies they chose to believe. You are on the right path, now what you do with yourself on this path is up to you. MY STORY: Let me paint a picture for you. I went from a 2000 sq ft house that frankly needed a lot of updating (which I never did) and driving my parents’ used Ford Explorer, to now living in an 8000 sq ft home up on the bluff overlooking the golf course and the Potomac River. I now longer drive the Explorer, but rather I have four cars (Bentley, Ferrari, Audi, and just got the 2018 Lincoln Navigator). I give to charitable causes more than I used to make in a year in real estate. My son goes to the best private school. My wife has no job and is home full time with our 1 year old son and another baby on the way. We go on several trips a year. Our life is exactly how we design it to be. If I listened to the many people who told me to get a job, I would never have gone into real estate to learn how to grind. Had I listened to the masses who told me that my network marketing business was not for them and that I was wasting my time on it too, I would never have found this path to freedom or stuck with it when I was “failing” at it. I don’t know a single friend of mine who told me not to pursue this who I’d trade my life with. I hope that this story of mine that I share with you finds you at the right time, and maybe it will fuel you to relentlessly focus on your goals and you rise to the top in your network marketing business. It’s easy to give up and quit. It’s so easy that most people blink and do it. But I hope you aren’t most people. I hope you are a committed person who finishes what was started because your WHY is that important to you. Anyone comes along and tells you that you should quit, just remember my story. I was receiving that same lovely advice when I was right where you are. Let it ignite a fire inside of you and add that person to the long list of people you plan to prove wrong. And you will. PS – I hope some of my blog videos and trainings will help you achieve your desired success even faster. 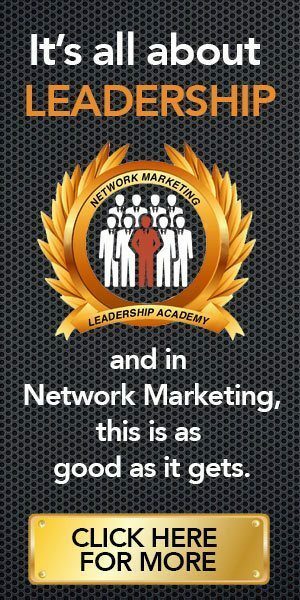 I LOVE Network Marketing! Do you? If so, CLICK THE SOCIAL ICONS ABOVE & SHARE this post.